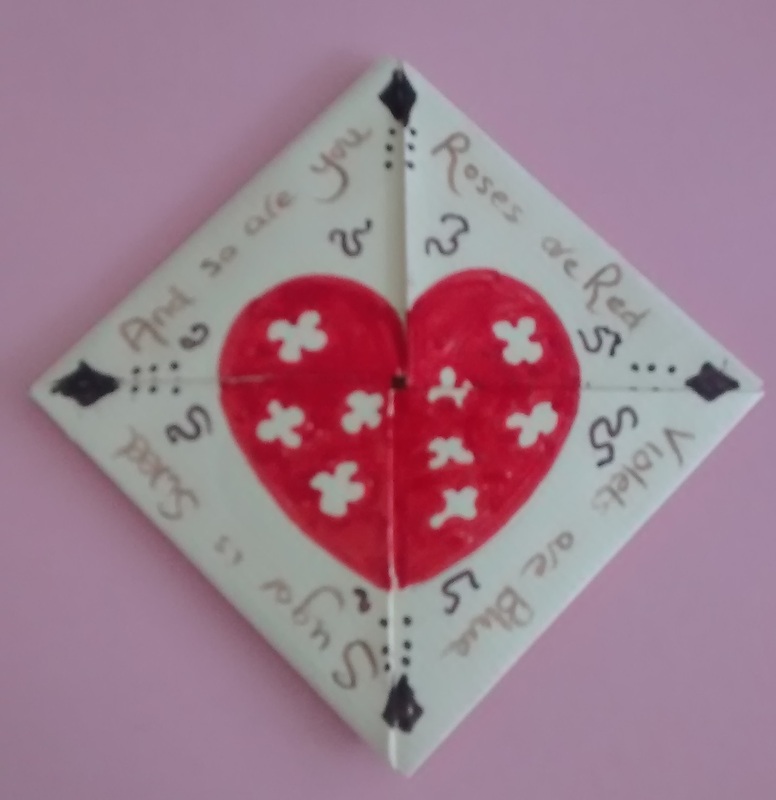 Valentine’s Day has its origins in pagan rituals and has been a feature in the year’s calendar in one form or another ever since. The 18th century was no different and customs we would recognise today were also enjoyed at that time. 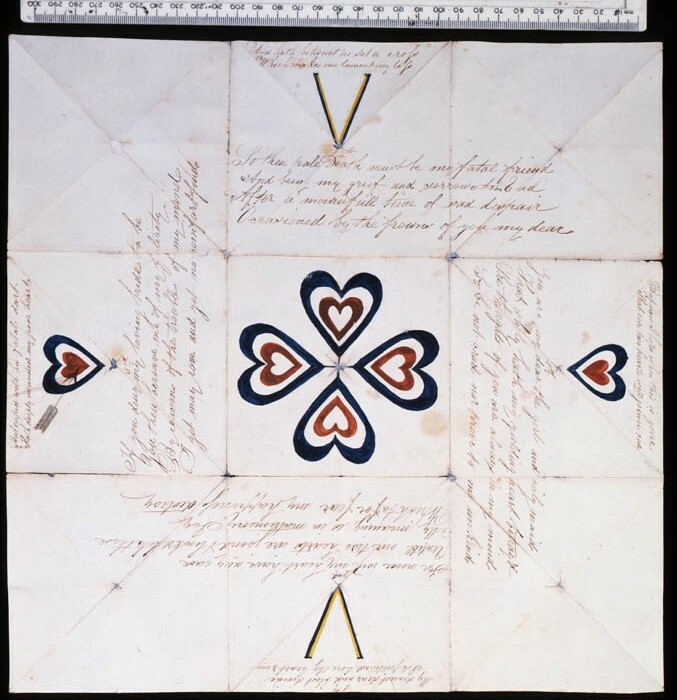 The sending of messages and love letters was common. Use of pre-printed cards began at this time and I’ve found a beautiful example in the social history collection at York Museum. 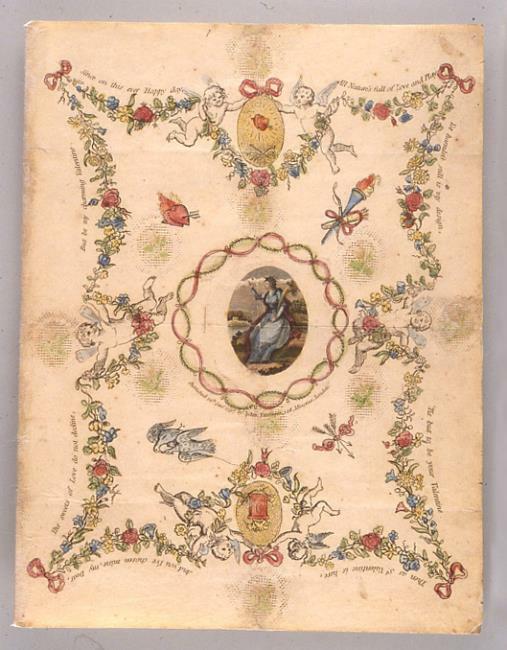 It is described as: ‘Folded card, centre front picture of woman with cornucopia, surrounded by garlands of flowers, hearts, cupids, doves and verse.’ It was published by John Faerburn in 1797. 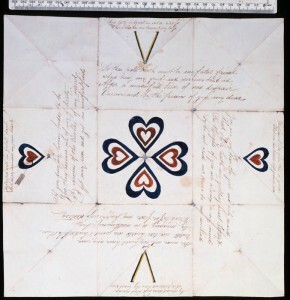 Passing love letters was popular and in 1797 a book was published to help the gentlemen of the day: The Young Man’s Valentine Writer (1797), from where verses and messages could be copied. A sweet example is this little verse that I can remember from my own childhood, slightly different and with ‘sugar’ substituted for ‘honey’. It is from a collection of nursery rhymes published in 1784. Another lovely thing is this valentine puzzle purse. 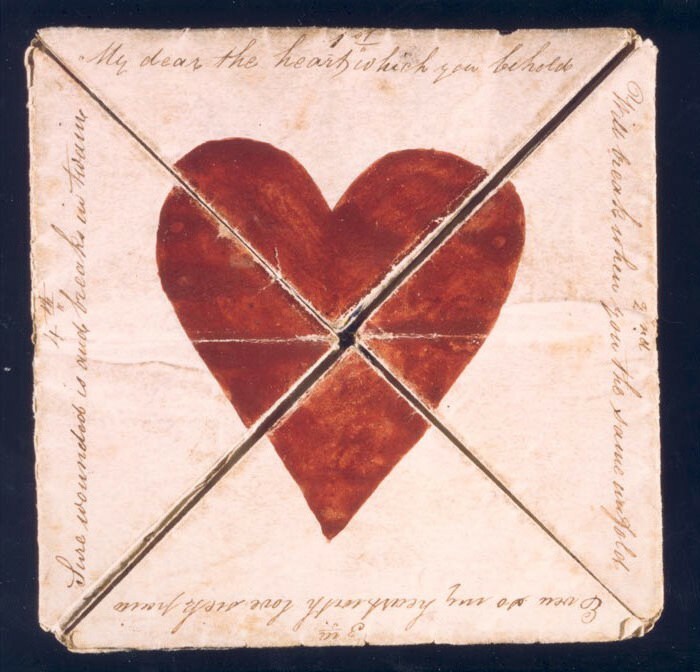 Thought of as Victorian, they actually appeared in the 18th century when young lovers began exchanging puzzle purses as valentines. These folded paper puzzles held romantic messages or pictures within its segments. The paper was usually 12 inches square (30cm for those who prefer!) and decorated with watercolour. 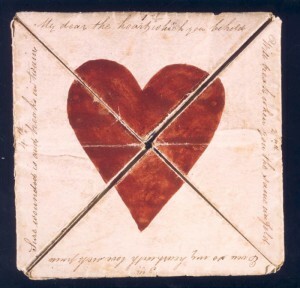 All manner of hearts, cupids, flowers and patterns created words and pictures on each layer. This is a lovely example held in the British Postal Museum. 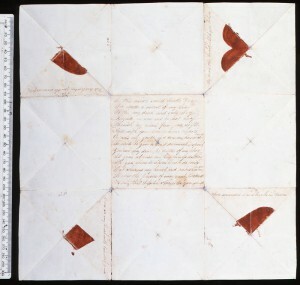 It is difficult to read the writing inside from the image, but a transcript can be found with the images on the museum website. I wonder whether Perinne would have received such a token? I’m sure she would have when she was older. Would she have taken such painstaking trouble to create one herself? Here’s my effort – why not have a go?